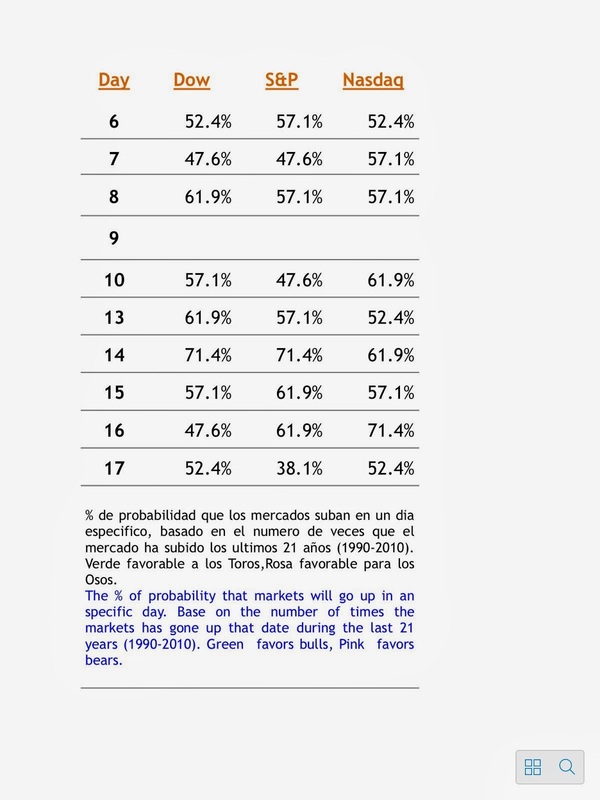 Opera en Bolsa: Shanghai, China : Todo apunta hacia abajo ! / All looking down ! Shanghai, China : Todo apunta hacia abajo ! / All looking down ! Nos referíamos aquí el 6 de Junio el inminente rompimiento del Índice Compuesto de Shanghai. El índice ha roto a la baja no solo la formacion de triángulo pero también se encuentra bajo el promedio móvil de 200 días. Recientemente, 2008, el índice de Shanghai tuvo una violenta caída meses antes de que los mercados en EEUU tocaran fondo en Marzo del 2009. Suerte ! 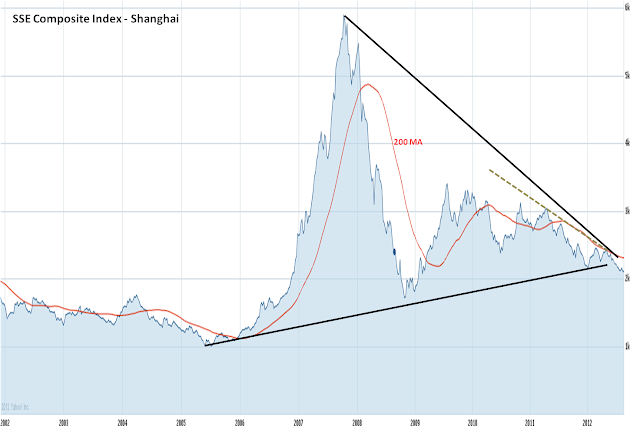 We mentioned here on Jun-6 the coming breakout of the Shanghai Composite Index triangle formation that has been developing for a number of years. Well the breakout has taken place and not only of the triangle formation but now it finds itself below its 200 MA. In 2008 the Shanghai Composite Index had a dramatic drop before the US markets reached their bottom in March 2009. Good Luck !